On January 13 in 1869 over 200 black delegates met in Washington D.C. to form the National Labor Union. The word “colored” was added by the establishment press of the time and the organization became known as the “Colored National Labor Union.” The group was head by Isaac Meyers. Frederick Douglass became the union’s president in 1872 and his newspaper, the National New Era its official voice. 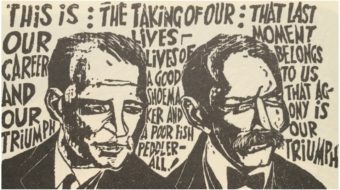 While William Sylvis, president of a national union of white workers of the same name called for no distinction of “race or nationality” in the labor movement, his attitude did not prevail and issues relevant to black workers were not addressed. The Colored National Labor Union admitted all workers without regard to race. 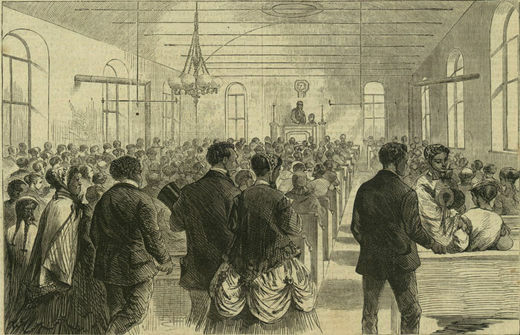 Photo: February 6, 1869 Illustration from Harper’s Weekly of the Colored National Labor Union convention in Washington, D.C. Public Domain, Wikipedia.